Av. Paralela, Av. ACM, Av. Juraci MagalhÃ£es, Av. Vasco da Gama, Rua Conselheiro Pedro Luiz, Largo da Mariquita e Rua Monte Conselho. 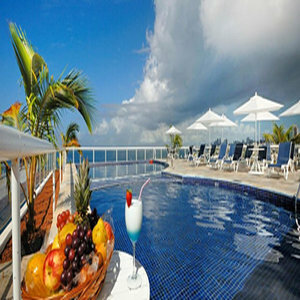 The hotel is located in Monte Conselho, Rio Vermelho area, next to Salvador traditional tourist points. The hotel is located in Monte Conselho, in Rio Vermelho area. It has 200 rooms some with sea view. The hotel facilities are: meeting rooms, business center, restaurant, bar, 24hs room service, laundry, swimmingpool, tenis court, sauna and fitness center.